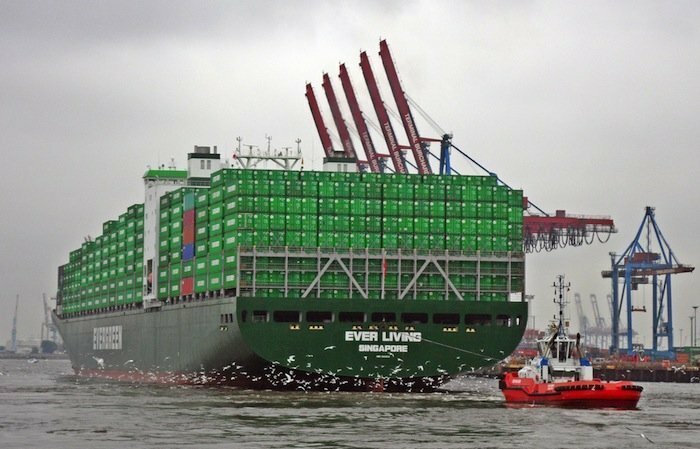 Evergreen Line has teamed up with Chinese online retail giant Alibaba, offering sea freight services online with guaranteed space and prices. The Taiwanese carrier follows the likes of Maersk, CMA CGM and Cosco in tying up with the retail site. Evergreen Line has also appointed Evergreen Logistics Corporation as a designated provider of customized, comprehensive logistics solutions for Alibaba.com members opting for its sea freight services. “The growth of e-commerce has resulted in small, fragmented orders from global buyers. Taking note of the need for user-friendly logistics services of smaller volume shippers, Evergreen Line is collaborating with Alibaba.com to allow shippers to search for freight rates and reserve cargo space on the Alibaba.com platform directly, a service that will be available to primarily suppliers in China,” Evergreen stated in a release. Once a booking is confirmed, the selected price is also locked-in. The rate will not alter regardless of how the market price changes, Evergreen maintained. To begin with, Evergreen Line will be offering Alibaba.com suppliers the booking facility on routes from China’s main ports to Israel and the South American region. More regions are expected to follow.